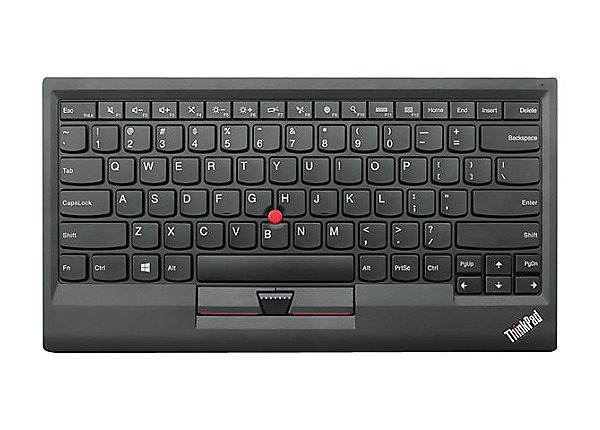 I’ve always been a fan of the Lenovo Thinkpad keyboards. The have a good feel, and I especially love the Trackpoint. The Trackpoint is that little red nub between G and H, and acts as a mouse. With it I can do many mouse activities without removing my hands from the keyboard. With most it is a love / hate thing, either they love it or the are mentally deficient and hate it. I actually have two, one is the USB version which I have plugged into my KVM (Keyboard Video Monitor) switch. The other is a Bluetooth model I use with my Surface Pro 3 when I’m away from home. They are quiet, easy to hold in your lap, and take up very little desk space. The only complaint I have is with the CTRL key, something we all hit many times a day. Its position makes it difficult to reach with my huge hands. Fortunately there is an easy fix: remapping the seldom used Caps Lock key to turn it into another CTRL key. While there are many ways and apps to do this, by far the one I trust the most comes from Microsoft in the form of its SysInternals utility Ctrl2Cap v2.0. It’s dirt simple, just follow the instructions and after the next reboot your Caps Lock will function as a CTRL key. While my Thinkpad keyboards were the reason I needed to do this, Ctrl2Cap will work with any keyboard. If you could use an extra CTRL key, give the utility a try. Note, it doesn’t swap CTRL and Caps Lock, it just converts Caps Lock to CTRL. All of your existing CTRL keys will continue to work normally. Thus, if you do this, you’ll lose the ability to do Caps Lock. (Don’t say I didn’t warn you.) Not a big deal for me, I rarely “unleash the fury” as they say, needing to type in all caps. It’s not permanent either, if you want to reverse it, Ctrl2Cap has an easy to use uninstall option. Hope this tip helps, if nothing else this post will help me in the future when I need to setup a new PC.